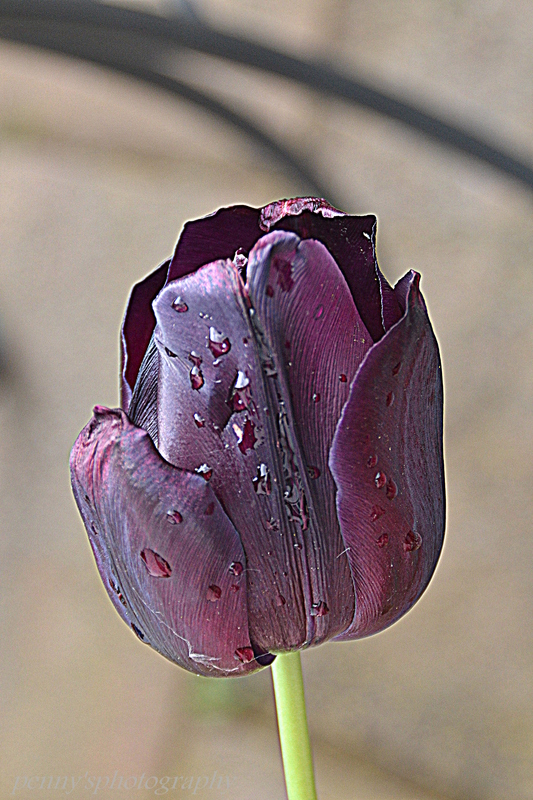 Tulip after a Spring rain shower. Last weekend I stayed with a friend. She has a very small garden but a magnificent show of tulips grown mainly in pots and tubs. After a morning rain shower I stepped outside with my camera, but the sun had already started to dry up the raindrops. These look almost untouched by the rain even though it was taken only a minute or so after the first! Tulips are simple, elegant and one of my favorite flowers (maybe because they grew in our yard as a child). Perfect and gorgeous colors in your photo. Thank you! 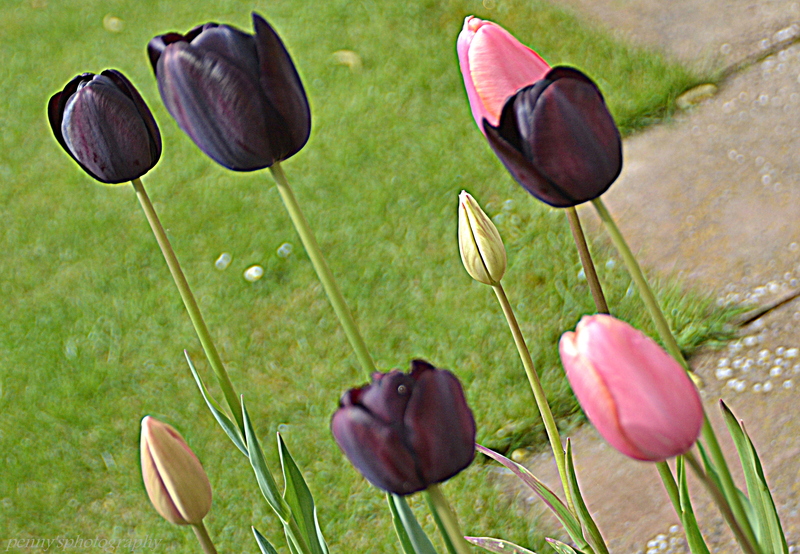 Tulips come as a pleasant surprise when they emerge each year but last such a short time. They’re my favourite flower too. I especially love the first photo. Beautiful. Thank you! I think the richness of the dark colour makes a change from the usual light colours of spring.